How would you like the extra revenue a new route can bring? without the time and effort of researching? Effective Route Planning is essential and Travel Ideology can provide excellent results. You have happy customers who enjoy travelling with you and are looking for new and exciting destinations. Travel Ideology can plan the trip for you. We can save you time and effort and provide new trips for your customers in line with your standard of travel and the quality you offer! We take the work out of planning it yourself. We get to understand your company and its culture, mission, vision and values. From this, we put together a suggested route together with accommodation, transport and attraction options consistent with your company’s culture. We can plan routes to and from anywhere in the world. 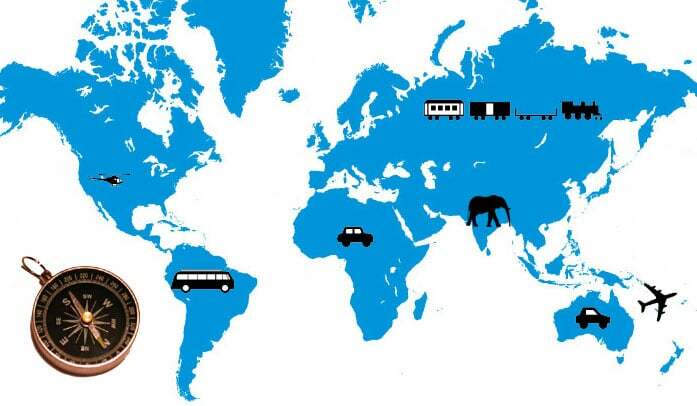 We can visit the countries involved and negotiate with suppliers to make the routes happen. We can even prepare the marketing material for your brochures. You could plan the route using your internal resources. However, by bringing in a fresh perspective to your existing product, you may be surprised at what can be achieved. You may know Asia well but want to start routes in Africa or South America for instance. What may work in China, may not work in South Africa or Chile. Bruce Josephs is our researcher. He has travelled to over 80 countries and territories on all continents. He has managed small business marketing and managed their suppliers for over 15 years. On top of this, his photos are used on professional websites, including this one.